My project at The Weather Channel was named “Global Lite Sites”. 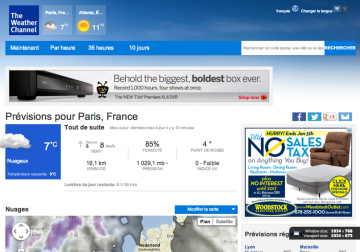 The goal of this project was to add over 35 new international localized versions of the weather.com website. These sites had a liquid layout to accomodate both desktop and tablet users, and we had to deal with issues such as right-to-left languages and the varying length of phrases when translated into different languages.